VentureHow’s customizable Excel VBA template for Payroll software evaluation enables you to a) customize and define categories, selection criteria and evaluation parameters, including weights b) pick any set of payroll software/services providers to evaluate c) add one or more evaluators and c) score each platform on the same set of criteria so as to shortlist and select the right solution. For a small business, reaching the milestone of having a payroll is indeed a big step. And given how complicated managing payroll can be, it is imperative to find a cost effective, easy to use, feature rich Payroll software/services provider. 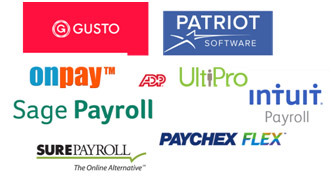 Are you in the market to evaluate Small Business Payroll Software/Services providers? Now choosing between a plethora of providers in a crowded market replete with information clutter is not an easy task. That’s where VentureHow Payroll software/services provider evaluation matrix comes in. The payroll software evaluation matrix comes with default categories and criteria. Of course, each one of these can be modified or you may add additional criteria. Sneak Peek: What’s inside the Tool? How do I get the information about the prospective providers? Who should buy the template? When to use the Template? Score the competing products objectively and personally. Save time and effort in creating the evaluation framework. Rather expend the energy in evaluating the platforms. Once you buy the template, by changing the specific categories and criteria as well as the products, you can apply similar structure to your other buying decisions.